Screen left exposed for full functionality. Full protection with a raised bezel follows the edge for optimal screen protection from scratching or touching the ground. 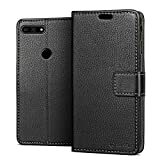 Provides improved damage resistance everywhere you go - dual protection for your phone from drops, bumps and scratches. 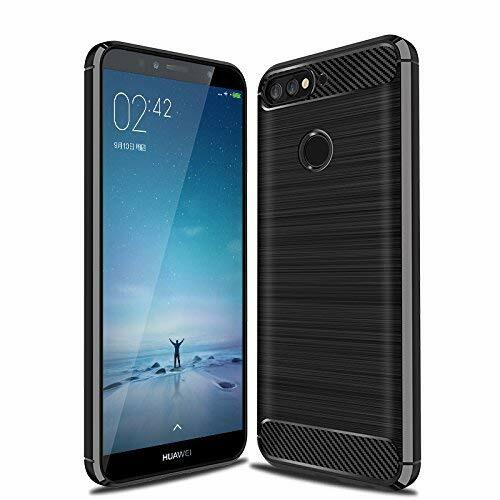 ATTENTION: Compatible with Huawei Y6 2018 / Honor 7A / Enjoy 8E Smartphone,and does not fit the other phones. 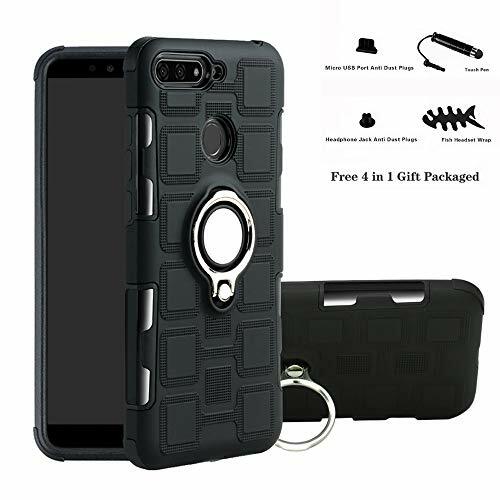 [360 Degree Rotatable Stand] provides you multi stand angle,great for watching videos and more safe to carry you phone [Used As an In-car Phone Holder Stand]The metal part on the back of the Rotatable Stand can be attached to a magnetic car cradle stand and used as an In-car phone holder stand, ensuring your driving safety. [Full Protection] Dual Layer Armor Case with soft shockproof tpu bumper and hard anti-scratch pc panel, adds double protection to your phone. 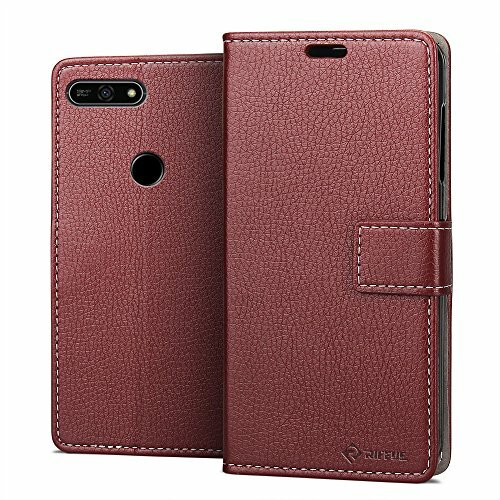 Anti-slip pattern all around the screen to avoid your phone skip from your hand. 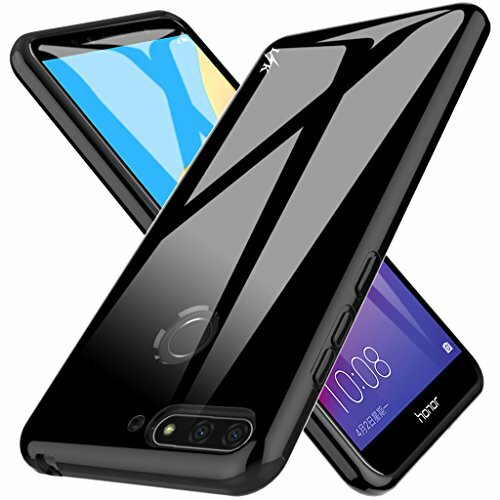 Compatible Model: Huawei Honor 7A. NOT fit for other phone models. 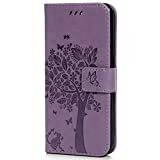 Made of high quality PU leather and TPU back cover case for anti-shock, durable protection and magnetic closure for additional security. 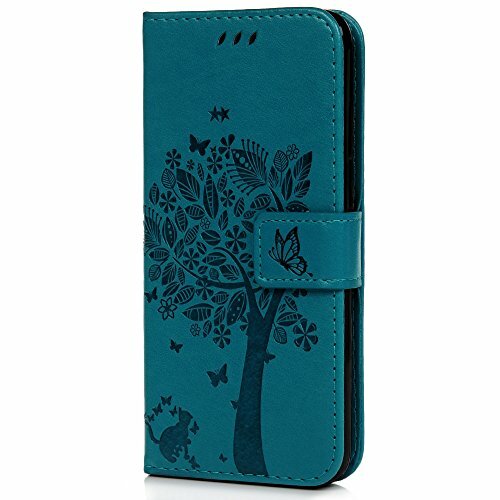 All around protection for your Huawei Honor 7A with a Slim Design. Advanced Shock Absorption Technology: Air Cushioned 4 corners. 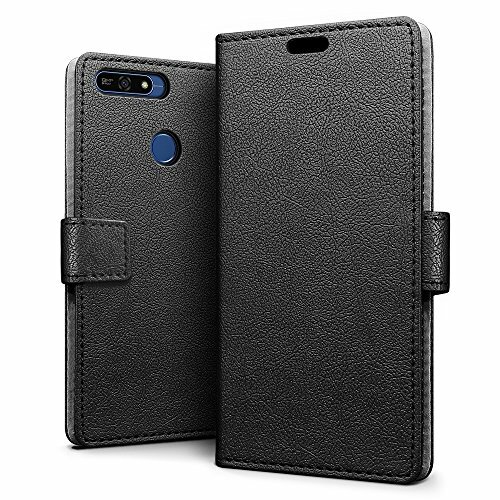 Multiple cash and card slots in this Huawei Honor 7A cover allow you to carry your ID, credit cards, debit cards, and money with you at all times. 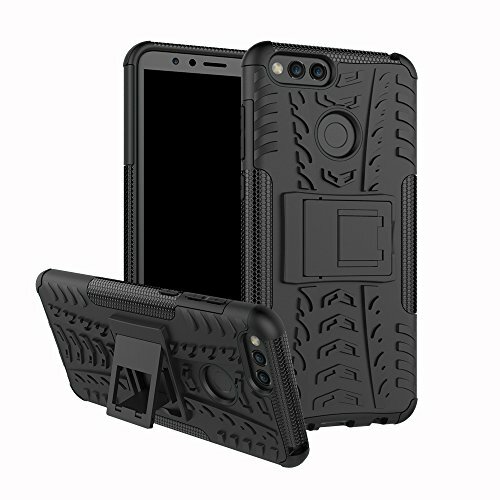 Precision-cut access ports are integrated into the body of the case, enabling use of all features of your device even while the case is equipped; this includes the power button, microphone, camera and charger port.Built-in stand function allows the back of the cover to double as a foldable stand for quick and easy, hands-free media viewing. 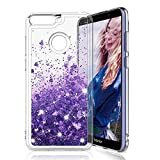 [Huawei Honor 7A/Y6 2018 Case Cover | *NEW REVISED MODEL in Flexible Silicone] Unlike Other Hard Plastic Models, XINYUNEW's 360 Degree Case will Not Break in Pieces Instead of Protecting Your iPhone. [FREE Tempered GLASS Screen Protector] to Provide Ultimate Full Body ShockProof Protection with 360 Degree Coverage. 2 in 1 PC Non-Slip Grip Texture for Extra Peace of Mind. 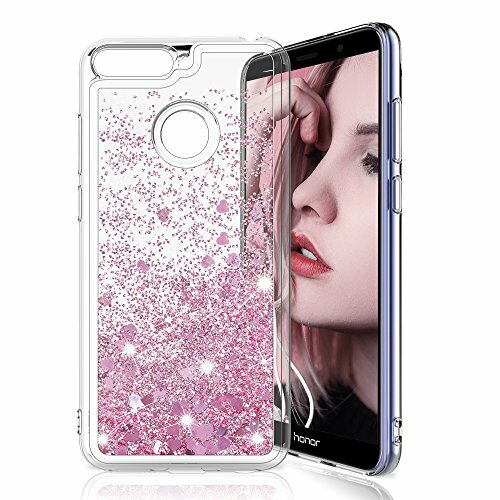 [The Most Popular Case meets Most Popular Material; PC] 360 Degree Cases are the Most Popular Huawei Honor 7A/Y6 2018 Cases, but OWM's 360 Series are The Best, with its Ultra Thin but Ultra Protective All Around Protection. Perfectly fit for Huawei Y6 2018/Honor 7A. High quality material,the soft TPU cover case inside make perfect protect and the smooth PU leather use friendly,look slim. 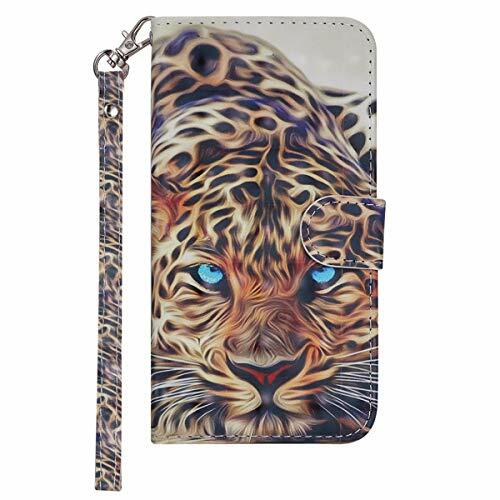 Card slot holder for your credit or debit cards, transit cards, ID, and even cash,without having to take your wallet with you. 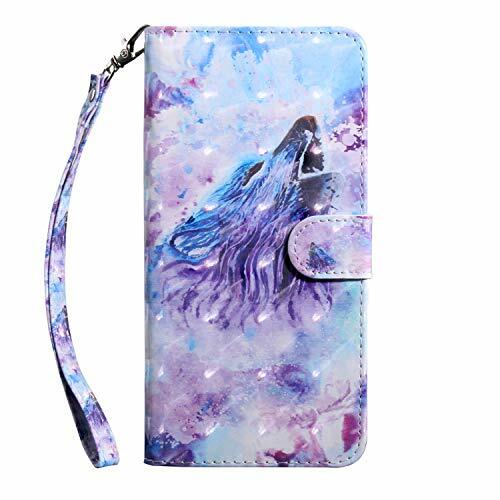 Built in kickstand function device for hands-free viewing, and wrist strap/lanyard help you freely enjoy the case. 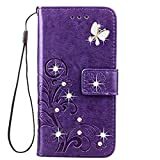 Special butterfly embossed case with mirror design makes your phone in fashion,luxury style and the case fits perfect with your Huawei Y6 2018/Honor 7A smart phone. ULTRA THIN with an exceptionally slim body that offers maximum protection without added weight or bulk. 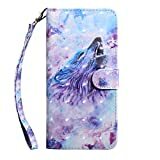 ULTIMATE PROTECTION for your device from those accidental drops and falls. Constructed from smooth, high quality, tough and flexible TPU that resists dirt and stains. 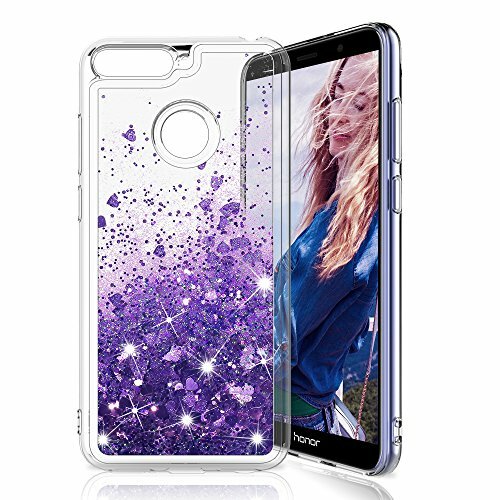 TPU is shock absorbent, shatterproof, and scratch resistant. It's easy to clean and does not have a plastic odor. 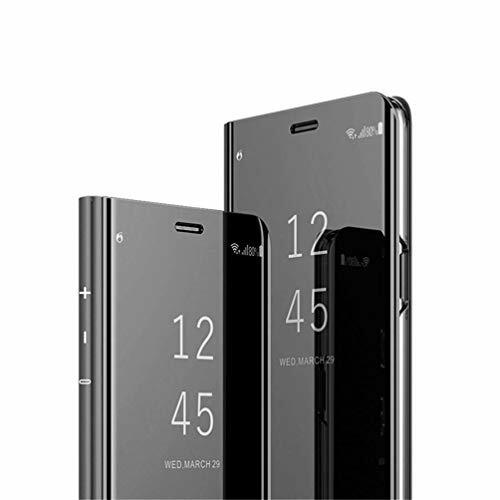 UNIQUE DESIGN allows easy access to all buttons, controls and ports without having to remove the skin. Sleek and lightweight designed with precision to fit your device perfectly. Buttons are specially designed for a more natural responsive feel. Camera lens cutout protects your camera from scratches while keeping your flash fully functional. ANTI-SLIP design provides extra grip on surfaces preventing it from sliding. Front raised edges recess your screen to protect it when placed face down. 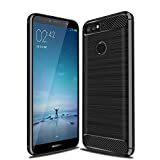 Compatible Model: Huawei Y6 2018/Honor 7A. NOT fit for other phone models. 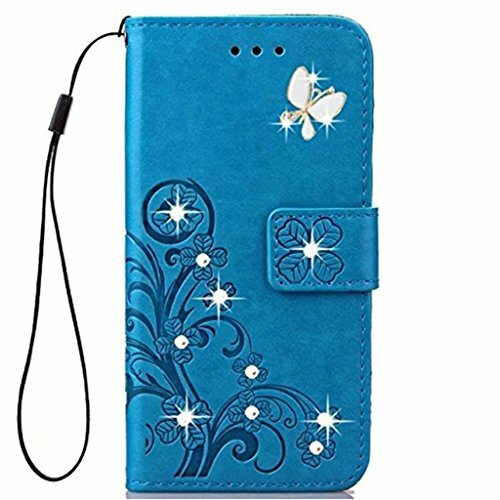 All around protection for your Huawei Y6 2018/Honor 7A with a Slim Design. Advanced Shock Absorption Technology: Air Cushioned 4 corners. Multiple cash and card slots in this Huawei Y6 2018/Honor 7A cover allow you to carry your ID, credit cards, debit cards, and money with you at all times. 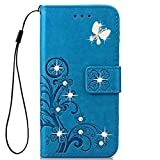 COTDINFOR Mirror Makeup Case For Huawei Y6 2018 Luxury Slim View Standing Cover Bright Clear Flip Kickstand Shockproof Protective Bumper Case for Huawei Y6 2018 / Honor 7A Mirror PU Blue MX. 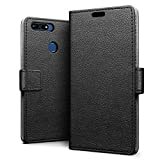 Compatible Model: Only For Huawei Y6 2018 / Honor 7A. COTDINFOR Mirror Makeup Case For Huawei Y6 2018 Luxury Slim View Standing Cover Bright Clear Flip Kickstand Shockproof Protective Bumper Case for Huawei Y6 2018 / Honor 7A Mirror PU Black MX. 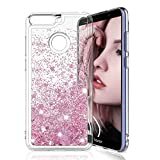 COTDINFOR Mirror Makeup Case For Huawei Y6 2018 Luxury Slim View Standing Cover Bright Clear Flip Kickstand Shockproof Protective Bumper Case for Huawei Y6 2018 / Honor 7A Mirror PU Rose Gold MX.